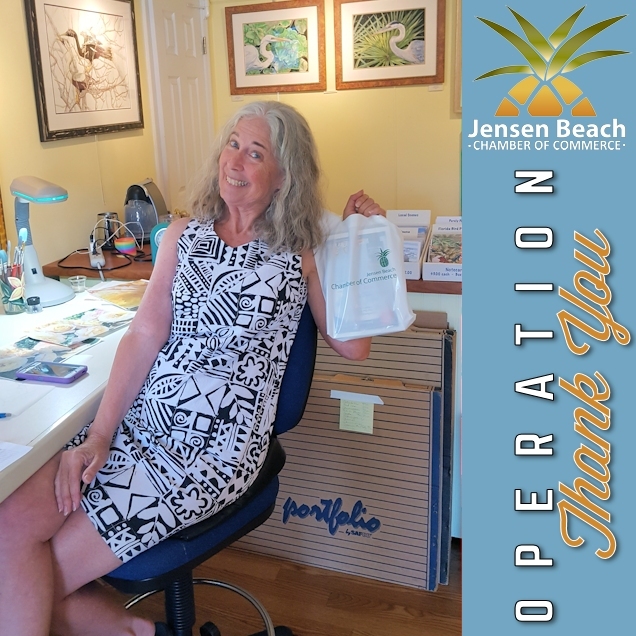 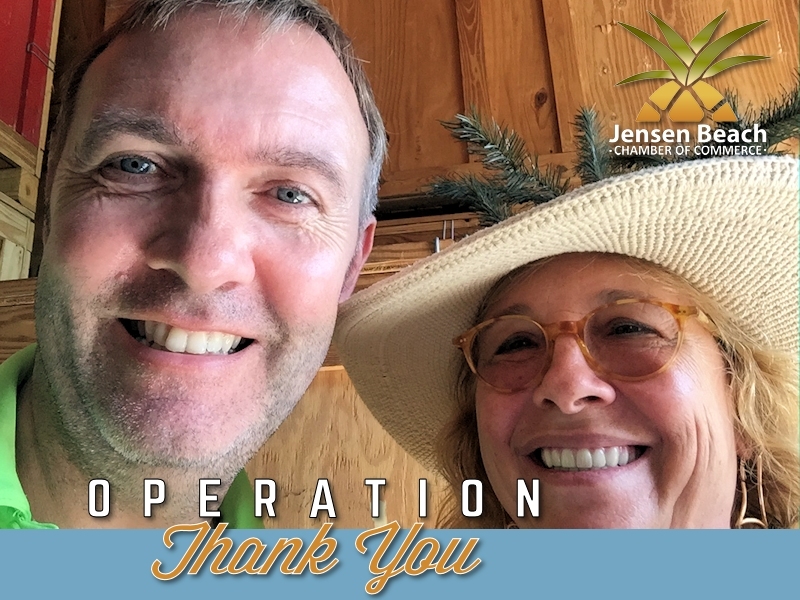 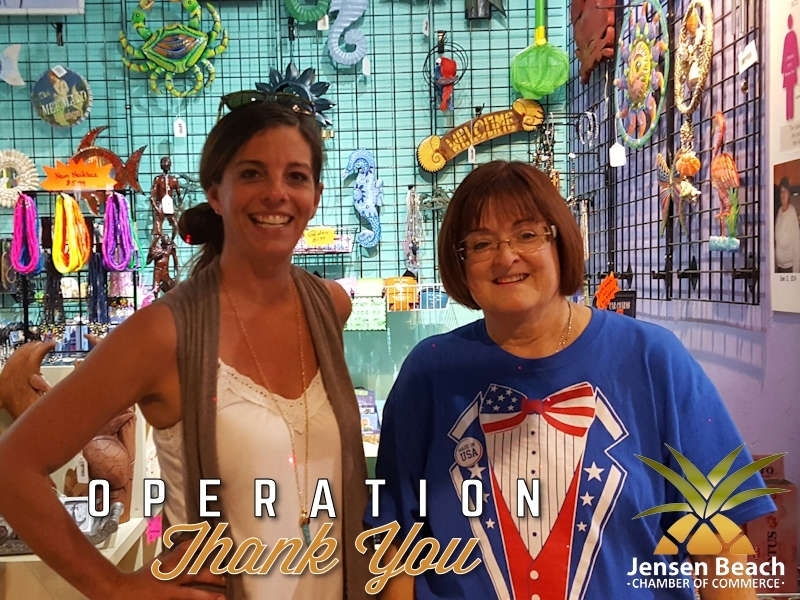 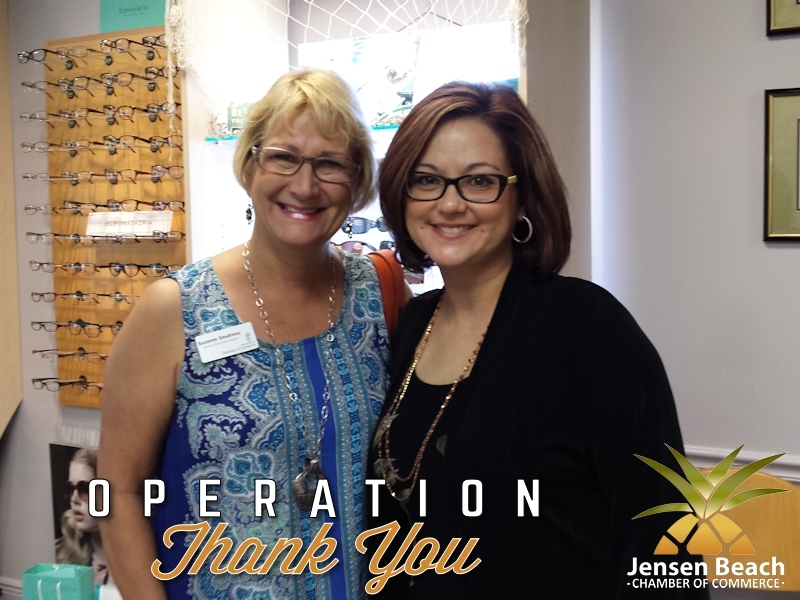 This morning, the Jensen Beach Chamber’s “Operation Thank You” kicked-off with a breakfast at Jan’s Place (breakfast, lunch & dinner) for all the volunteers who will be personally visiting Chamber business members throughout the day to say thank you for their support for the Chamber. 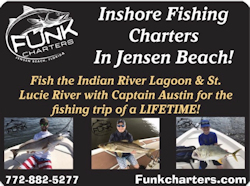 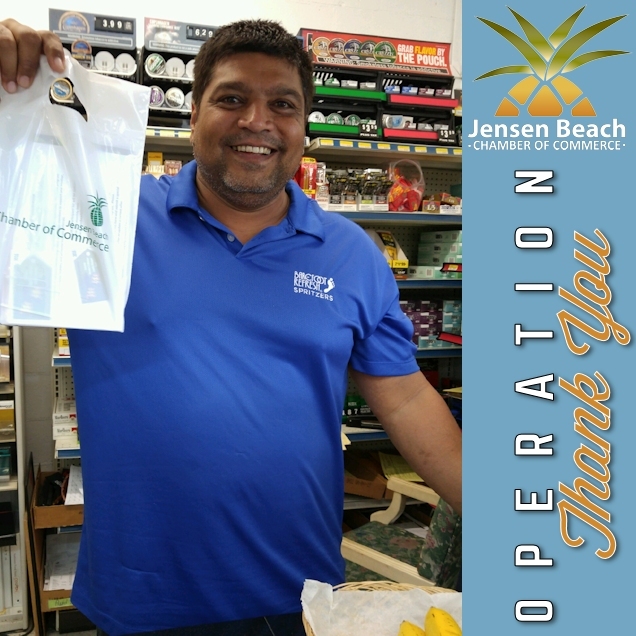 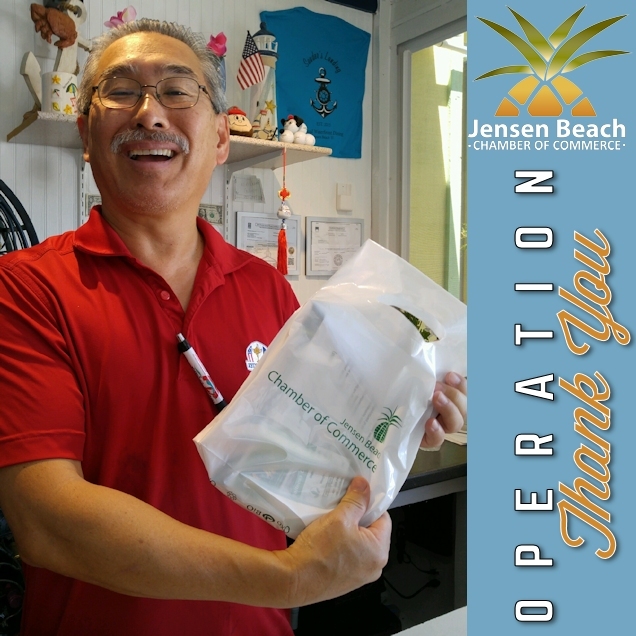 “Operation Thank You” volunteers, several who are Ambassador Committee members, while thanking members will also drop off information about upcoming Chamber events, Member 2 Member Loyalty Discount Cards and information on the 2017 Jensen Beach – Hutchinson Island Visitors Guide & Business Directory. 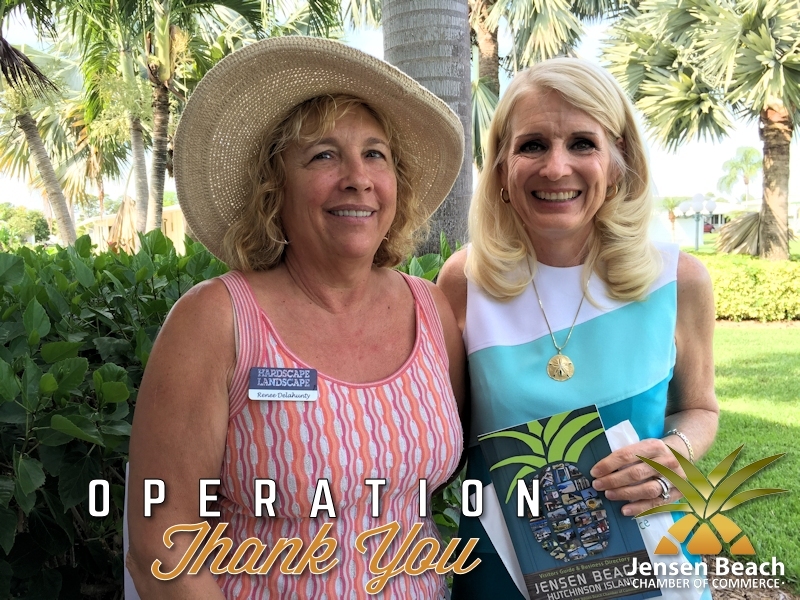 Later today, there will be an Ambassador Committee meeting at 4:15pm at Impressive Click, 1005 NW Jensen Beach Blvd., next to Hurricane Grill and Wings. 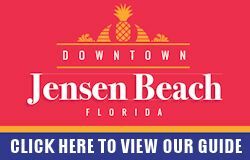 If you are interested in becoming a Chamber Ambassador you are invited to attend the meeting. 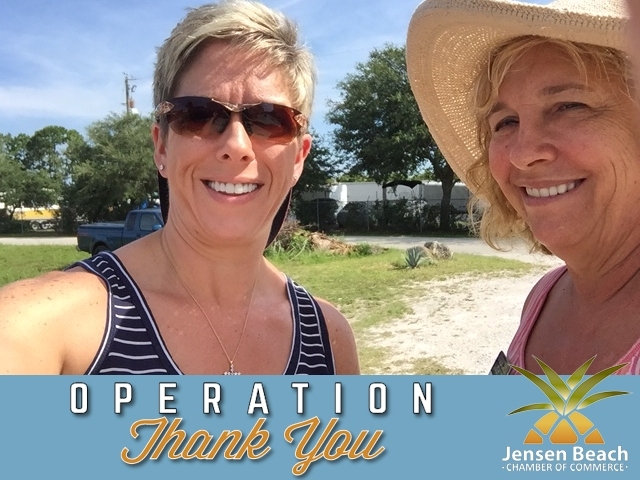 Earlier today, “Operation Thank You” volunteer Renee Delahunty, with Felice Giuliani Hardscape Landscape, thanks Chamber member, Pinelake Village, Manager Chris Burkard, for supporting the Jensen Beach Chamber of Commerce.